Our personal care lip moisturizing products include the world famous Chapstick. Don't let your lips dry and crack in the winter, keep them moisturized with our lip balms. 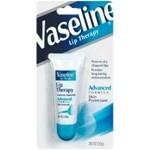 Unilever Best Foods Vaseline Advanced Lip Therapy Tube - 1 Oz. Neutrogena Lip Moisturizer Spf 15 - 0.15 Oz. Neosporin Overnite Renewal Lip Balm - 0.28 oz. Lip Balm Blister Beeswax - 0.15 Oz. Lip Balm Coconut Pearl Blister - 0.15 Oz. Lip Balm Mango Blister - 0.15 Oz. Lip Balm Pomegranate Blister - 0.15 Oz. Burts Bees Beeswax Lip Balm - 0.15 Oz. Burts Bees Ultra Conditioning Lip Balm - 1.5 oz. Burts Bees Beeswax Lip Balm - 1.5 oz. Burts Bees Pomegranate Lip Balm - 1.5 oz. Burts Bees Lip Balm Ultra Conditioning Blister - 0.15 oz. Wholesale Chapstick for commercial motels and healthcare facilities. Winter time is dry and you need help keeping your lips moist.